Watching The Royal Wedding Or Couldn't Give A Shite? We Asked The People Of Dublin. Spending several hours watching live footage of a wedding you haven’t been invited to may seem like the behaviour of a mental person to most of us but that’s exactly what millions of Britons will be doing today. Prince Harry (the ginger one) is to wed an American actress called Meghan Markle (what could possibly go wrong?) and most of Britain will be watching the ceremony live on TV. Not only that, if reports are to be believed lots of Irish people will be tuning in as well. With that in mind, we decided to venture out into the pubs of Dublin last night to ask people if they’ll be watching. Firstly Dave Grogan from Finglas left us in no doubt. John Breslin from Drimnagh agreed and listed off several things that he’d rather do than watch the Royal Wedding including cut his lawn with a scissors and drink a pint of his own piss. John also told us Up the Ra. Most Irish people we spoke to said they would have little or no interest in Britain’s Royal Wedding but there were plenty of others who will be tuning in. Lisa Harrington from Foxrock for example said she’ll definitely be watching and can’t wait to see the dress. She also told us she’s a big fan of the bride. 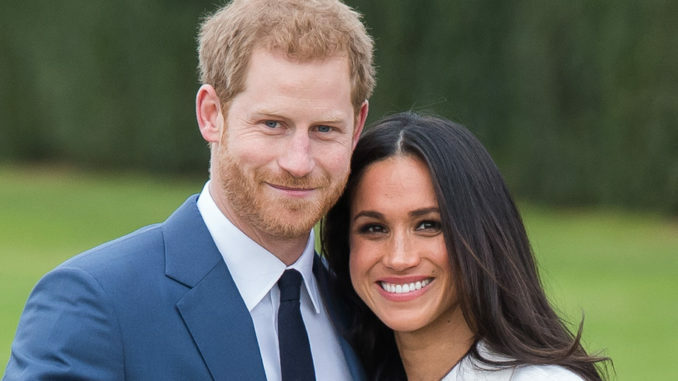 Irish viewers can watch the Royal Wedding live on RTE 1 from 11:30am. Alternatively they could do something more worthwhile with their Saturday like rearrange their sock drawer.